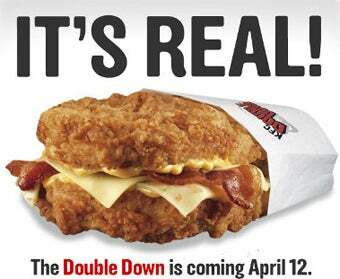 If you’re unfamiliar with the modern incarnations of fast food (remember when KFC unleashed the “fried-chicken-as-bun” Double Down? ), this might seem like a strange choice. Since, well, pizza and beer are perfect on their own. Not that this kind of logic has stopped Pizza Hut before. For example, pizza, bacon cheeseburgers, and barbecue are all fantastic on their own, but Pizza Hut still managed to create the BBQ Bacon Cheeseburger Pizza, whether or not anyone asked for it. These bizarro culinary hybrids embody the larger pressure Pizza Hut is under, the owners are attempting to make the company profitable again by establishing a larger foothold in the fast-food market, presumably by whatever means necessary. It’s a strategy that’s resulted in some culinary question marks, but the fusion of pizza and beer is actually a bit interesting in comparison to Pizza Hut’s other creations, not least because beer already has an established place in food (items like beer pretzels and beer batter have been around for a while). So why now? As Kathryn Austin, Pizza Hut’s director of marketing, told The Mirror “We know that craft beers are really popular right now and we’re celebrating this not just by adding craft beers to our menus, but also by adding this to our pizza dough.” The theory being tying pizza in with one of the fastest growing beverage markets out there will draw considerable attention beyond the fast-food sphere. But don’t let your mouth start watering just yet. The new beer pizza is being offered for the first time on Friday, May 20th, but only at London’s Finchley Lido Pizza Hut. They’ll offer two beer-infused pizzas. One is called “The Steak Feast” and the other is called “The American Hot,” which sounds like someone was naming the new pizza and passed out midway. Good news, though. If the beer pizzas are well received by English customers on Friday, they’ll be rolled out nationally, and then if still successful, internationally. And based on our love of pizza, whatever it’s stuffed or infused with, it isn’t too radical to hypothesize future partnerships between Pizza Hut and craft beer companies to create specific beer branded dough. We can already picture an Imperial IPA Deep Dish, and it’s beautiful.